This is a vinyl-rip from German re-release in 1976. 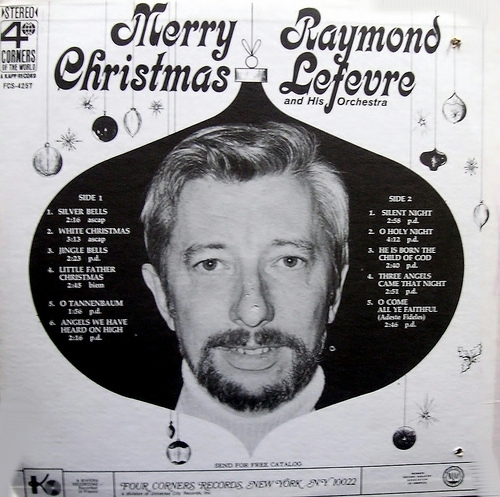 Raymond Lefèvre (November 20, 1929 – June 27, 2008) was a French easy listening orchestra leader, arranger and composer. 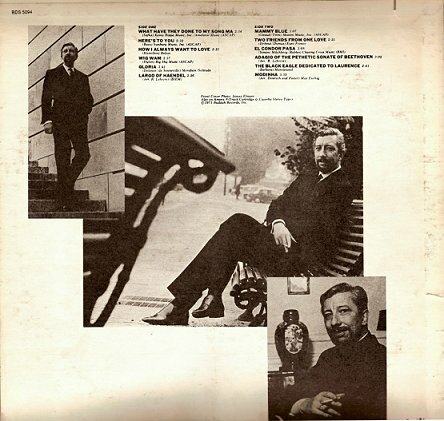 This is another beautiful by the french maestro of Easy Listening, especially produced fir the US market … very nice ! 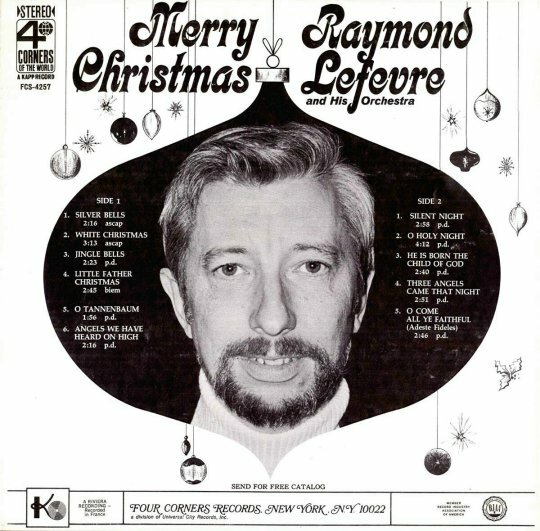 Born on November 20, 1929 in Calais, France, Raymond Lefèvre is best known for his 1968 theme “Soul Coaxing (Ame Caline)”, which became an international hit. He also wrote soundtracks for movies with Louis de Funès like La Soupe Aux Choux (1981) or the series of legendary Le Gendarme de Saint Tropez. 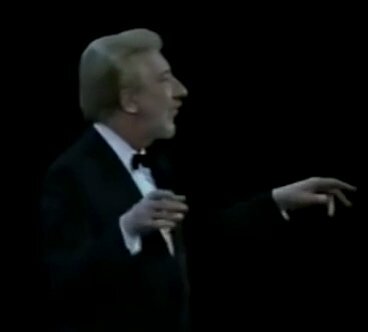 During the late 1950s and early 1960s he accompanied Dalida on most of her recordings (Bambino, Por Favor, Tu peux tout faire de moi, Quand on n’a que l’amour), amongst many others. 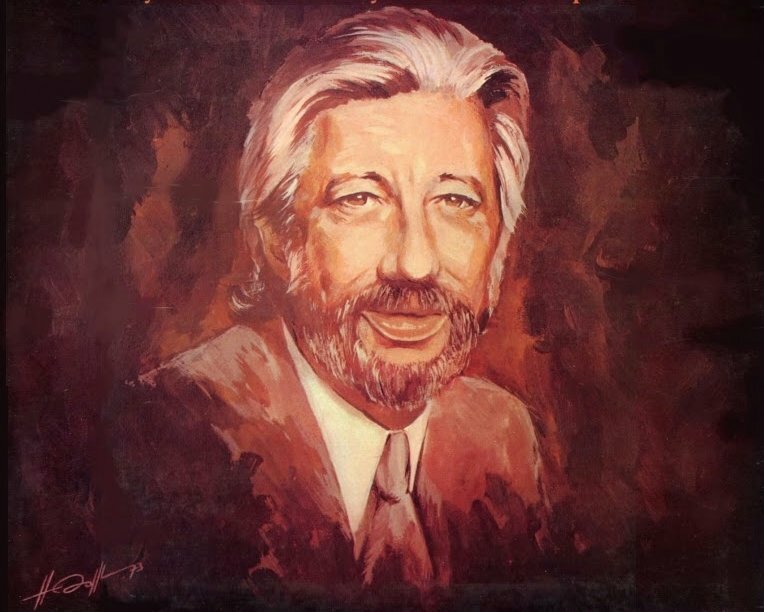 He started his musical career in 1956 on the Barclay Records label. He was accepted at the Paris Conservatory at 17 years old. During the early 1950s he played the piano for the Franck Pourcel orchestra. In 1953 he played the piano at the Hilton Hotel in Los Angeles. He started his musical career in 1956 on the Barclay label and recorded his debut album in the same year. 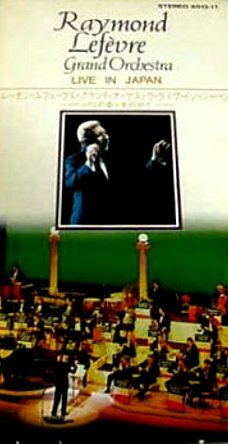 He worked in the French television programs Musicorama (1950s) and Palmarés des Chansons (1965, 1966, 1967) accompanying famous artists as Dalida, Claude Francois, Richard Anthony, with his own orchestra. His recording of “The Day the Rains Came” was a best seller in the United States in 1958. The song “Ame Caline” (Soul Coaxin’) became an international hit in 1968 and “La La La (He Gives Me Love)” was a minor hit in 1968 in Canada and the United States. In 1969 his recording of “La Reine de Saba” (Queen of Sheba) became a big hit in Japan. Between 1972 and the early 2000s (decade), he made successful tours in Japan. He often worked on the soundtracks of Louis de Funès movies. 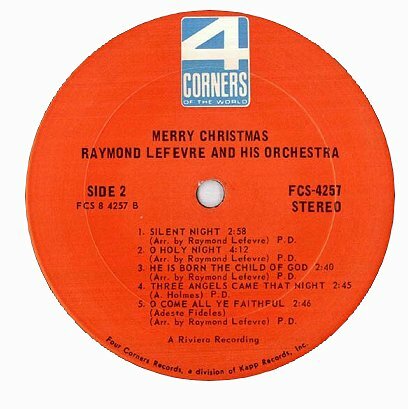 And this is his one and only Christmas album from 1968 … and this is a very beautiful one .. listen and enjoy the magic of Raymond LeFevre´s sound … very unique ! 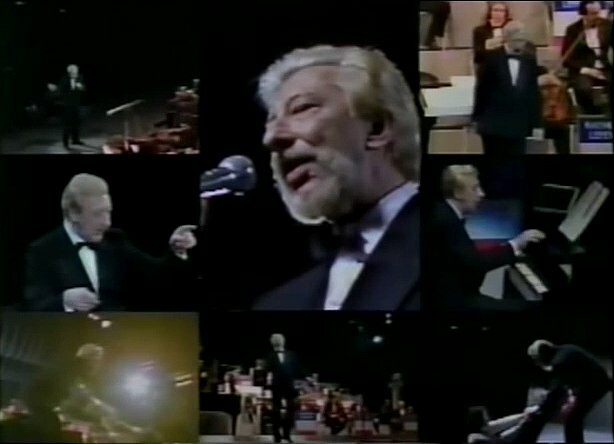 Lefèvre conducted entries four times at the Eurovision Song Contest, three times for Monaco (in 1961, 1962 , and 1963) and once for Luxembourg (in 1970). 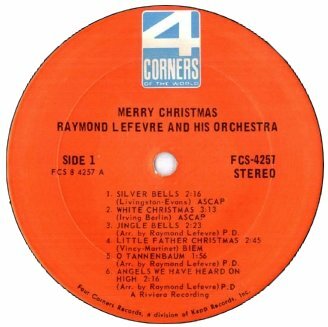 And this is a brilliant concert in Japan of Raymond Lefevre and his Grand Orchestra in Japan, a very rare item. 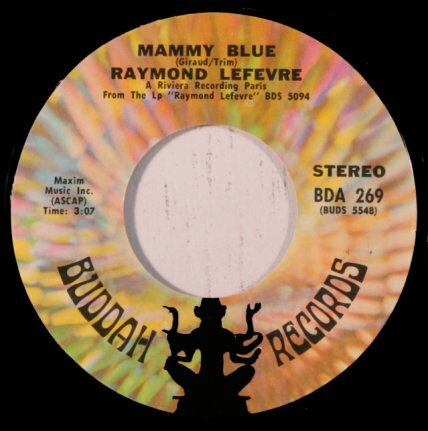 Enjoy this powerful sound by the one and only Raymonde Lefevre ! Thanks to the help of Hsieh Chih-Chien. Okay, christmas is coming soon … And so I´ll continue with my Christmas special series . 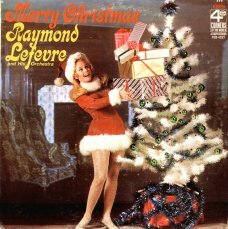 This time I will offer sentimental versions of Christmas classics by the french mastermind of easy listening music, Raymond LeFevre.Raymond Lefèvre (born November 20, 1929 in Calais, France), true name Raymond Lefèbvre is a French easy listening orchestra leader, arranger and composer. He is best known for his 1968 theme Soul Coaxin’ (Ame Caline), which became an international hit. He also wrote soundtracks for movies with Louis de Funès like La Soupe Aux Choux (1981) or the series of legendary Le Gendarme De Saint Tropez. 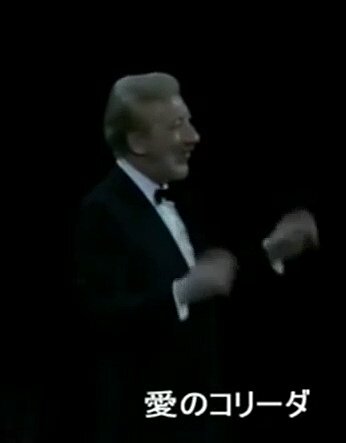 During late 1950s and early ’60s he accompanied Dalida on most of her recordings (Bambino, Por Favor, Tu Peux Tout Faire de Moi, Quand on N’A Que l’Amour). 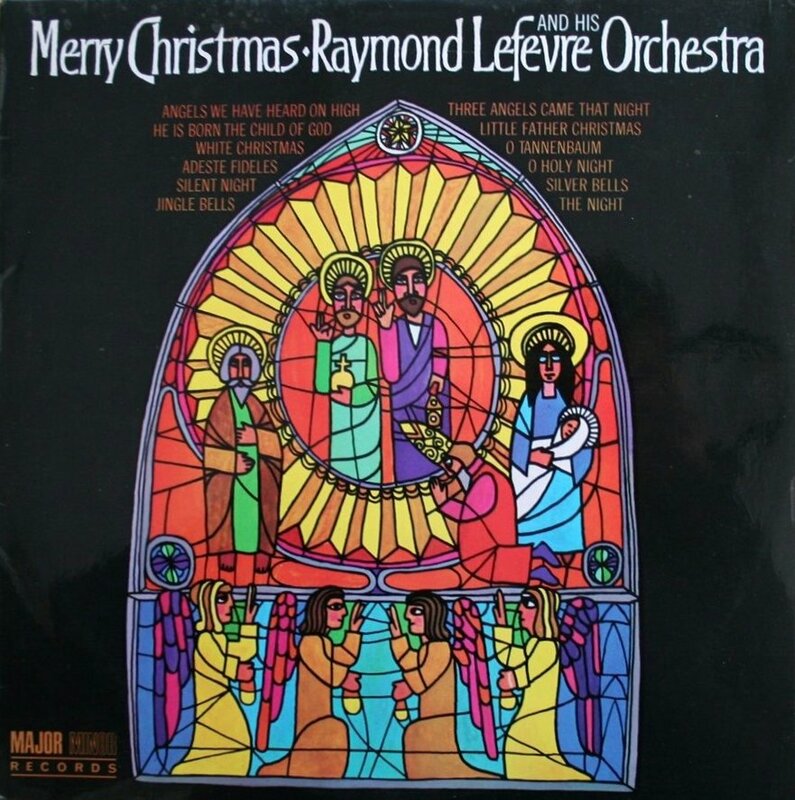 Merry Christmas is a beautiful selection of festive standards, arranged in the typical style of Raymond Lefevre and played with skill by the orchestra.